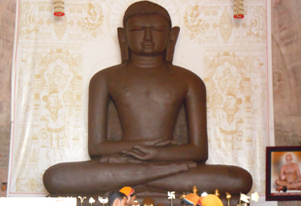 Join us for a Jain Pilgrimage Tour of a lifetime. In our 5N/6D Jain Tour of North India, we take you to important Jain places that will fill you with spiritualism and bliss. North India is a significant region in Jainism, the destination like Ayodhya is not only famous for being the Kingdom of Hindu God, Rama but it is also the birthplace of five out of 24 Tirthankaras including the first Tirthhankara Rishabhnath. In our tour, we will take you through cities like Varanasi that runs along the sacred River Ganga. Also, we will visit the famous Sangam in Allahabad, where we will seek Darshan at Digambara Jain Temple dedicated to Jain Tirthankar Lord Adinath. The tour will also include visiting the holy grounds of Kushinagar, where the last Tirthankara, Mahaveer attained Nirvana. We shall also witness the sacred site of Balrampur, Sravasti, the birthplace of third Tirthankara Lord Sambhavnath. Here is the detailed itinerary for you. Upon arrival at Varanasi airport/railway station, meet our representative who will assist you to your hotel. In the afternoon, we shall visit Banaras Hindu University, which is one of the largest residential universities in Asia. At the university, we shall visit Bharat Kala Museum. Later, we will head out towards the temples of Varanasi. We will visit the Golden Temple dedicated to Lord Shiva and the Durga temple, which is also known as the Monkey Temple due to the large number of monkeys in the temple premises. In evening, we shall enjoy a boat ride on the Ganges. While on the boat we may also see the cremation ceremonies of dead bodies as per Hindu Rituals. Overnight stay at the hotel. After the breakfast at the hotel, we shall drive to Allahabad. On arrival at Allahabad check-in at a hotel. Later, we will visit Digambara Jain Temple dedicated to Jain Tirthankar Lord Adinath, Deekasha Sthali and Sangam. Overnight stay at the hotel. Post breakfast, we will drive to Ayodhya. On arrival at Ayodhya, check-in at a hotel. In Ayodhya we shall visit all place that according to Jain traditions are important. It is said that five Jain Tirthankars were born at Ayodhya, including the first Tirthankar Rishabhnath. 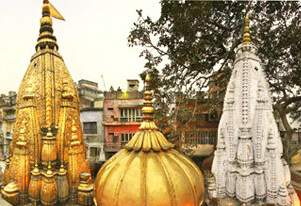 Ayodhya is also famous as Bhagwan Adinath Ji attained Deeksha (penance) at this place. After Deeksha also he visited Ayodhya several time and his Samavasranas were set here. Apart from it, the Kalynaka’s of Chayan, Births, Diksa, and attainment of Omniscience of Lords Ajitnath, Abhinandan Swami, Bhagawan Sumatinath, and Bhagwan Ananthanth were celebrated here. Overnight stay at the hotel. Today, we shall drive to Kushinagar. On arrival at Kushinagar check-in at the hotel. We will visit Fazilnagar, which was once known as Pawa Nagar. 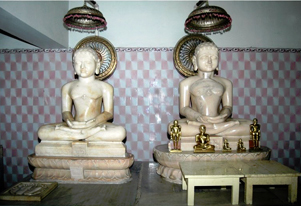 According to Jain and Buddhist Literature, Pawanagar is the place associated with Both Jains and Buddhists. It is believed that it is in Pawa Nagar where the 24th (Last) Jain Tirthankar, Mahaveer attained Nirvana in 543 Bc. The Temple here has four carved idols. Overnight stay at the hotel. We shall head out to Balrampur today. On arrival at Balrampur check-in at hotel. In the morning, we shall visit Sravasti, which is the birthplace of Third Jain Tirthankar, Lord Sambhavanath. Overnight stay at the hotel. Post breakfast, we shall drive to Lucknow. On arrival at Lucknow, drop will be provided for airport/railway station to connect flight/train for onward destination.